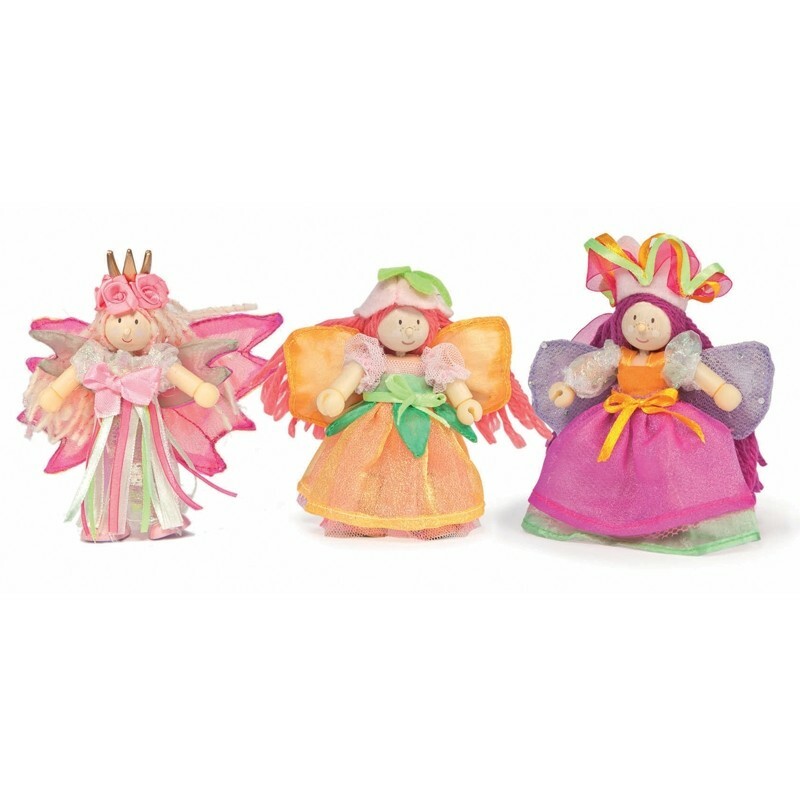 A set of 3 poseable Budkin fairies in beautifully detailed hand-finished fabric outfits. The set includes Princess fairy belle, Fairy Orla and Queen Gardenia. An ideal complement to Le Toy Van Fairybelle Palace.